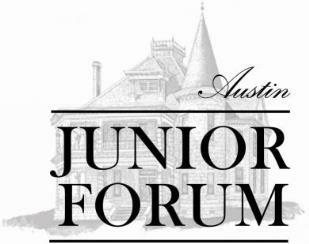 Questions regarding the AJF Grant Program may be directed to Tonya Riley, Grants VP, 2018-2019 at grants@austinjuniorforum.org. The Letter of Inquiry (Phase 1) is now being accepted and must be submitted by February 8, 2019. If selected to move forward, Phase 2 requirements will be due no later than March 1, 2019. Applicants will be notified in the fall of 2019 concerning all funding decisions. Click here to download the AJF Letter of Inquiry. Read below to see what some of our grant recipients have to say about AJF! "Over the years we have been so blessed with the countless volunteers from Austin Junior Forum who help at every drive and event we have throughout the year. Our programs would not be so successful without these ladies and their dedication to service.